One evening, my 2 year old daughter had a seizure. My wife called 999, but we knew it would be a while before an ambulance arrived at our rural location. However, within minutes, a Community First Responder knocked at the door and we were able to start treating her. Stanford First Responders were quite excellent. They arrived extremely quickly, took charge of events calmly, and worked seamlessly with the ambulance crew to speed the transfer to the JR. Just superb. The Blackwells. A thousand thanks for coming to my aid on White Horse Hill. For your calm competence and quiet reassurance, I'm profoundly grateful. RJ, Oxford - June 2011. These are statements made by some of the many people who have been helped by Stanford's volunteer Community First Responder (CFR) team since December 2008. We should like to thank all the individuals, families, business and organisation that have supported. Through your fundraising activities, and personal and corporate donations, we have been able to buy a 4x4 Nissan X Trail. During bad weather, this will enable us to get to emergencies much quicker than if we used our own cars. During 2013, we responded to over 150 life-threatening emergencies in Stanford and surrounding towns and villages – at all times of the day and night. Please note – CFRs can only respond to certain types of life-threatening emergency and only when asked to do so by the Ambulance Service. In an emergency situation, always dial 999 – please do not delay taking this action by trying to contact a First Responder. You can now dial 111 if you urgently need medical help or advice, but it's not a life-threatening situation. As with 999, calls to 111 are free. 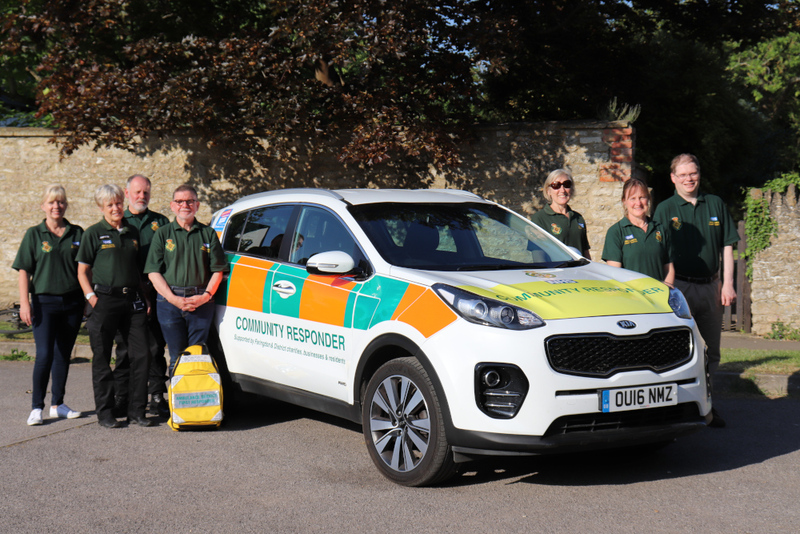 Faringdon and District Community First Responders (L to R): Mandy (Uffington), Jeanette (Stanford), Malcolm (Faringdon), Les (Stanford), Fiona (Shellingford), Sarah (Stanford) and Tom (Southmoor). Other responders are Mike (Buckland), Helen (Kelmscott) and Przemek (Faringdon).